My name is Mzie Pilime. 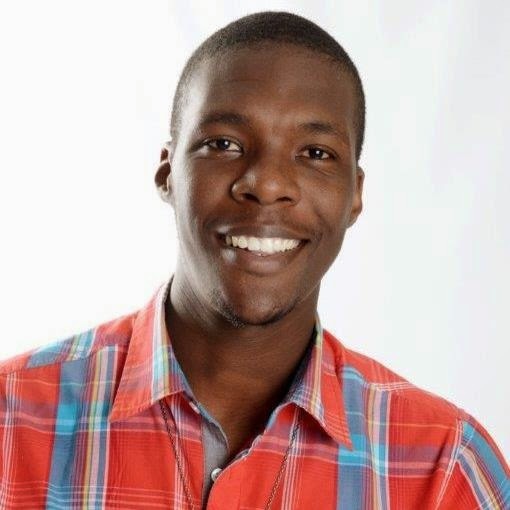 I'm 20-something; Zim born; been based in Alberton, Jhb for the last 10years. I am a project engineer for a bulk material handling company; I always try to find a way of making that sound a little more interesting, but well.. one day maybe. That's a very good question, I don't really have much of an answer to that other than the fact that most times work is the reason I run. There's nothing quite like getting out there and pounding the tar to work out some stress and get you thinking straight again. My running patterns are random at best, I never have a set program that I follow. I enjoy evening runs though, I just get out there and run till I feel I've had enough. Most times I try not to stop till I've done at least 10km. 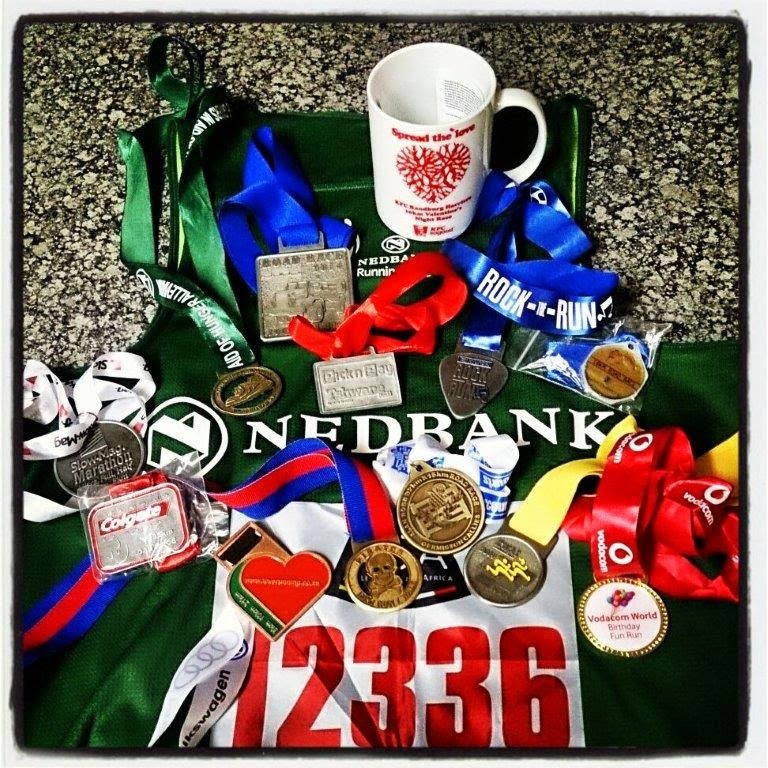 I used to do the 5km time trials at the Nedbank running club but realised the time I spent getting there could be spent on the road running, so I stopped going. Then I make sure to do races every weekend or every second weekend if I've missed a run. 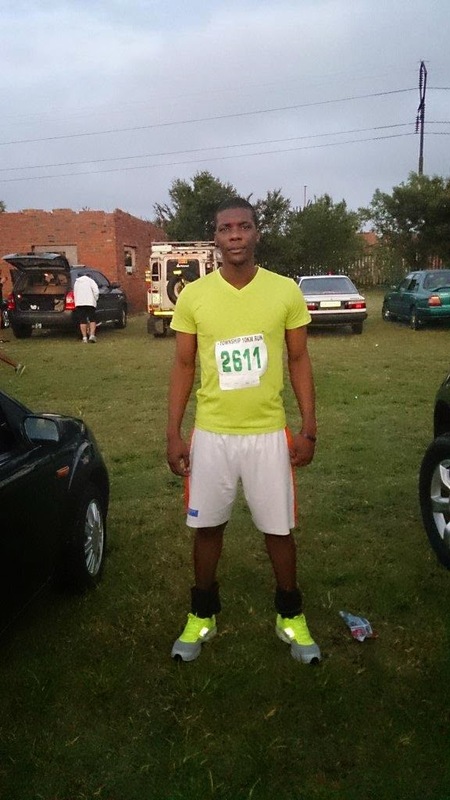 I did my first road race on the 14th of February 2014; the KFC valentines night race. I did about two and a half weeks of training, running 4 times a week to try and get race fit. I actually entered the race to try and impress this girl I had a crush on; long story short she pulled out of the race on the day and I was left to sweat it out on the hills of Randburg alone. I hate being idle. I've always been an active person, for the most part I played basketball and in high school I played any sport that would let me on the team. My body is hooked on the adrenaline of an active lifestyle so if I've missed a run in a few days I start feeling sluggish, then I know it's time to get out there. 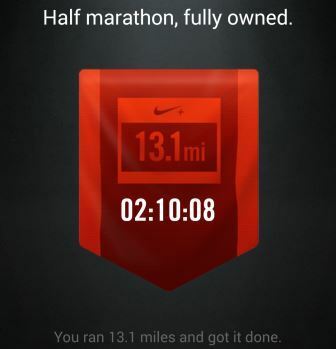 Unofficially its been 35km, but in terms of road races I now do half marathons on a regular. What do I love about running? It's kinda hard to describe to someone who doesn't run. Running is liberating, it's a good way to free my mind and drown out the million voices in my head. It's the only time when all I hear is my heart beat and my feet beneath me. I enjoy the rush of (carbon monoxide fume filled) air when I run. I have the knees of a 80 year old (no offence to the seniors), so the aches and pains that always come post run aren't exactly something I look forward to. 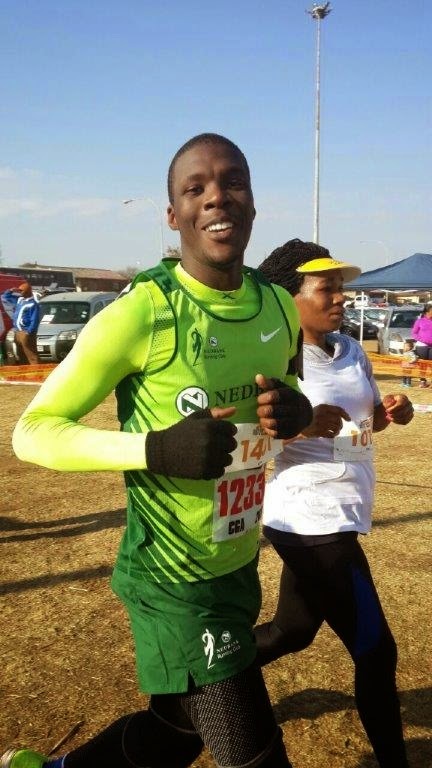 Joining the Nedbank Runnning Club was the best decision I ever made, ladies love a brother in green :) At races everyone just instinctively assumes you'll fly off into the horizon soon as the gun goes off, I love it! Q. How do you think running can empower the youth? Sport is always a great motivator, the youth need something they can focus on - set goals and achieve. It's good for their self confidence and physical well-being. I've had the pleasure of seeing a few development athletes from very tough backgrounds but what they have managed to make of their lives through running is awe inspiring! My ultimate goal is to run the full Comrades at some point. Running is one of those silent sports, no glitz, no glamour. Especially long distance running - you only ever hear about it when there is the Comrades or Two oceans, the rest of the year if you're not a running club member you'll never know. We run past peoples homes so early in the day on weekends that by the time they wake up they are usually none the wiser about the 4000+ people that ran past there. The sport needs more coverage, the sponsorship is there but it could still be better! Social media, IT and all this new age HD stuff (listen to me sounding old) is forcing people indoors, especially kids. People sit on their phones and pc's and tweet and chat the day away. There's really no motivation to exercise, it's sad. When I grew up you went in the house to eat and sleep only, if you wanted to play - outside! 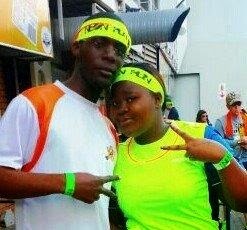 My very first road race, the KFC night run - did 10km on a broken heart with shin splints, cramps and those Randburg hills. 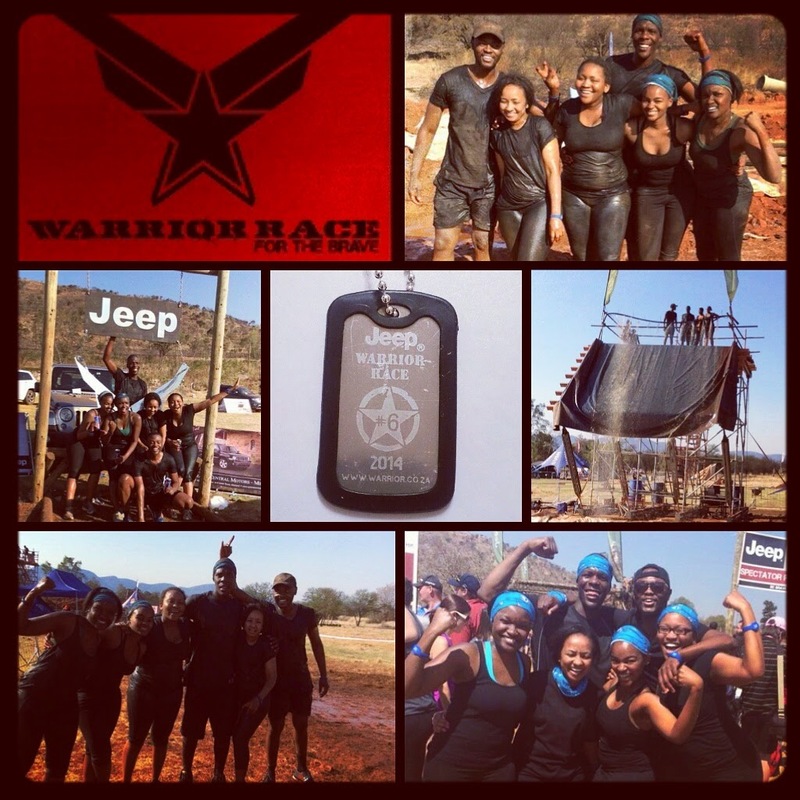 I still hate any race run in Randburg. I adopted the slogan "Pain is weakness leaving the body" so I embrace the pain because I refuse to be weak!! And the medals keep me plenty motivated. 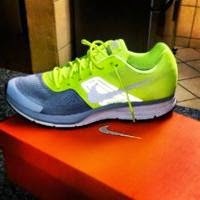 I run in my Neon Green and Grey Nike Pegasus 30's, they have excellent cushion that helps with my knees. My iPhone.. For my Nike+ running app. 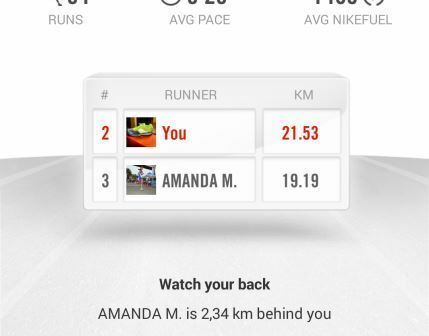 I gotta make sure every km is logged so I stay ahead of the pack!! Don't over-think it, it's not rocket science! Just find a comfortable shoe and get out there. They say for a runner the hardest steps are the first few out the door!